Until recently, I was a BBC news correspondent, but I left the corporation at the start of the year to write and teach full time. 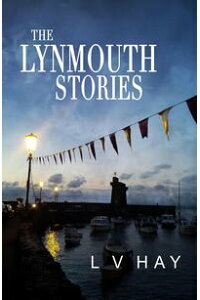 I have written seven novels in my TV detective series, along with short stories, a play based on the books, and even a pantomime. 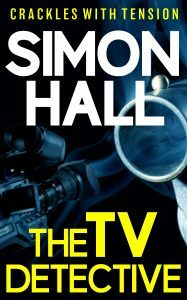 Read about my latest book, The TV Detective, HERE. 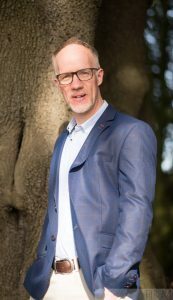 I also teach media and creative writing, and have had the wonderful experience of helping a series of aspiring authors to get published and many students into careers as journalists. You can find me via Twitter as @SimonHallNews or on my website, HERE. For me, crime comes down to a battle of wits. It’s pure and simple heroes against villains, and who doesn’t love that? When I write a book I delight in setting up a crime, then trying to give the reader all the clues for them to solve it, but mixing them up in so much subterfuge and misdirection that it’s a real challenge for them to get anywhere near the answer. It’s a game of cat and mouse, author against reader, and it’s terrific fun. My books are about a television reporter who covers crimes and gets so involved in the cases he helps the police to solve them. So for me it was simply writing about what I knew. As a BBC TV crime correspondent I had the privilege of remarkable insights into the way the police go about solving crimes, and how they use the media to help them do so. Some of the tricks they pull are quite remarkable, as I hope the books demonstrate. I’m certainly never short of good plot material. I’m a morning person, so I have changed my life in order that I can write when my mind is at its most productive. I tend to get to bed by about 9.30 or 10, so I wake up before six. I get straight up, and do several hours writing before I even think about having a shower. A little unsettling, and perhaps unhygienic, I know, but it works for me. Maybe the feeling of being a bit grimy from bed helps with writing in the dark world of crime. For many crime writers, that is a simple question. It has to be And Then There Were None, by Agatha Christie. She says it was her hardest book to write, which is proof of my view that you get nowhere without working. And it’s a masterpiece. A brilliant plot, with an unguessable twist at the end. It has stood the test of time to such an extent that copies are still selling now, and new adaptations are being filmed.